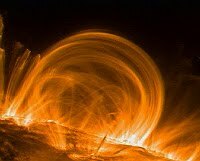 Parallel magnetohydrodynamics (MHD) algorithms are important for numerical modelling of highly inhomogeneous solar and astrophysical plasmas. SMAUG is the Sheffield Magnetohydrodynamics Algorithm Using GPUs. SMAUG is a 1-3D MHD code capable of modelling magnetised and gravitationally stratified magnetised plasma. The methods employed have been justified by performance benchmarks and validation results demonstrating that the code successfully simulates the physics for a range of test scenarios including a full 3D realistic model of wave propagation in the magnetised and stratifi ed solar atmosphere. SMAUG is based on the Sheffield Advanced Code (SAC), which is a novel fully non-linear MHD code, designed for simulations of linear and non-linear wave propagation in gravitationally strongly stratified magnetised plasma. The SMAUG code has been developed by the Solar Wave theory group SWAT at The University of Sheffield. 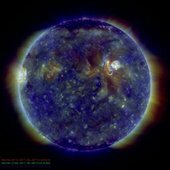 Researchers and users downloading the code are requested to acknowledge and give credit to the Solar Physics and Space Plasma Research Centre (SP2RC) at The University of Sheffield. "Courtesy: SP2RC, University of Sheffield"